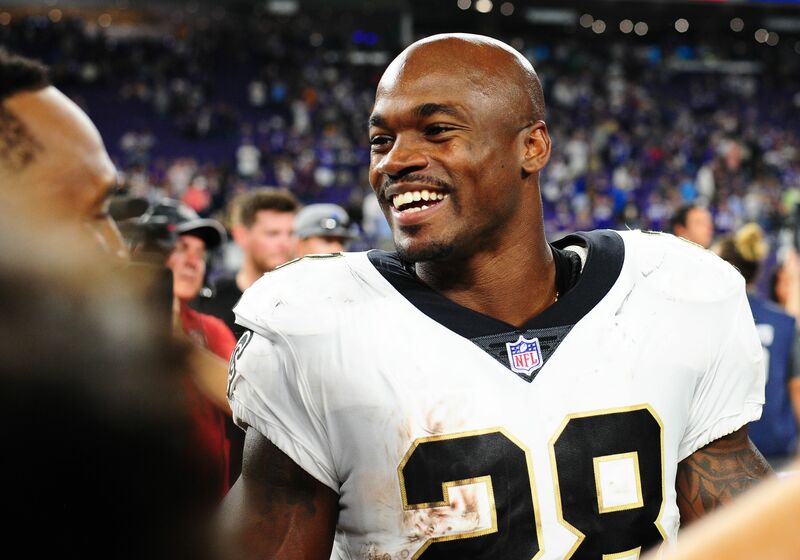 After a disappointing debut with the New Orleans Saints, Adrian Peterson continues to talk about this lack of a role. In a coincidence (?) of scheduling, Adrian Peterson played his first game with the New Orleans Saints against the Minnesota Vikings in Week 1. But after a nine-yard run on his first carry, Peterson finished with 18 yards on six carries while playing just nine snaps. Add in the instantly viral death stare he gave head coach Sean Payton, and it’s clear Peterson is not pleased in his new environment. Peterson did everything he could to squash a potential conflict with Payton after the game, and the head coach had little to say beyond dismissing the situation as any sort of “heated exchange”. But Peterson keeps talking about it, with comments conveyed to the New Orleans Advocate. The game situation on Monday night, with the Saints not scoring a touchdown until the fourth quarter and trailing by at least 10 points from halftime on, limited running game usage and thus Peterson’s role. Mark Ingram and Alvin Kamara are both far more versatile, and Peterson’s history of simply not being functional as a pass receiver and pass blocker is well-documented to the point of over-saturation. For Peterson to get anywhere near the workload he became accustom to during his time with the Vikings, the Saints will have to nursing a lead late in a game. Week 1 didn’t present any such opportunity, but some of Peterson’s frustration is surely rooted in the fact he didn’t even seem to be the preferred back in goal line situations during the game. With two other capable backs in the mix, last week will not be the only time Peterson gets single-digit snaps in a game this season. In terms of time to “kind of get adjusted” in the fashion Peterson pointed to with his comments, I’ll bet he thinks his Saints’ teammates and coaches should adjust to him.